Large Brachiosaurus dinosaur birthday cake pan is the best for your party celebration. 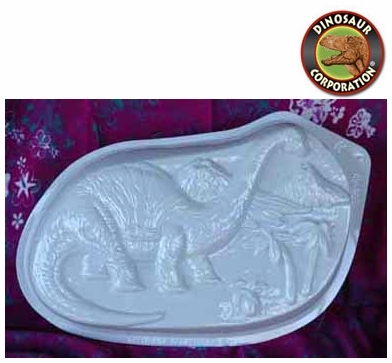 The plastic dinosaur cake pan can be used many times to make the best prehistoric cake for your kids birthday party. * Decorating instruction for dino cake is included. * Size 15" (38 cm) x 9" (23 cm).